Seniors are the fastest growing segment of our society, the largest consumers of health care dollars, resources, and medications. Yet, over 55% of them do not properly take their medications. Studies indicate up to 30% of all hospital readmissions are due to medication non-adherence. Memory: Despite receiving written and verbal information, 27% of older people discharged from hospital after heart failure were classed as non-adherent within 30 days. The majority remembered receiving oral information, but less than one in four recalled any written information they were given. Almost one in ten did not remember receiving any information at all. Memory: 30 minutes after taking their medications, seniors can’t remember if they took them, and thus take them again. Half the patients surveyed could not recall the dose of their medication and nearly two-thirds did not know what time of day to take them. Memory: Senior simply forget to take their medications. Need: 40% of elderly patients do not know the purpose of their medication. Some do not take them because they don’t feel good, others stop taking because they feel good. Volume: too many medications. Seniors are likely to consume more than 5 medications at a time and do not like taking them all, or do not remember how to take each one. Incapacity: Due to physical (arthritic conditions), visual or hearing impediments or Mild Cognitive impairments seniors are not physically able to take their medications, and many do not have the caregiver support needed to ensure consumption. Cost: seniors do not fill or refill medications because they can not afford the enormous cost. Some stretch their medications by splitting pills or taking half doses. 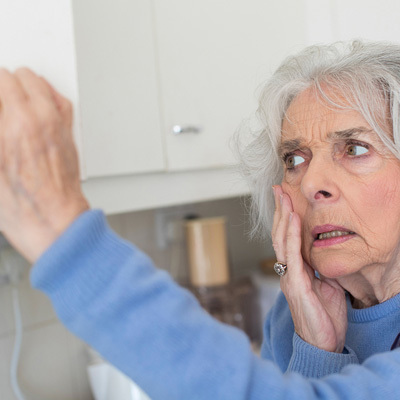 Fear: Seniors may be afraid to take their medications because of potential side effects. Seniors are a large connected group and most frequently search for health information online. Mistrust: Some seniors do not trust their health care providers because of their motivation to prescribe due to pharmaceutical company enticements as reported in the press. Addiction: A recent interview highlighted the growing phenomenon of opioid addition, leading to a lower cost heroin addiction resulting in non-adherence to other meds and frequent ER visits by seniors over 70 years old. Medipense was founded on the principal of enabling better medication adherence though digital health. We have examined each core reason for non-adherence, interviewed patients, caregivers, physicians and other health care providers. We developed the RxPense® patented medication management and remote patient monitoring appliance as a result. Memory: The RxPense® reminds seniors to take their medications. RxPense® does this with a series of visual, audible and vibration prompts to the senior, and email, SMS and Cloud-based recording for caregivers. Once reminded, simple to follow instructions are presented. Once taken, the senior can confirm consumption and are presented with the time of their next dose, preventing overdose. Need: Medication details are readily available as are one touch caregiver contact and support. Easy connectivity and communication helps senior remain adherent. Volume: All medications are pre-sorted and delivered open, ready for consumption to the senior, once authenticated, at the right time. Only those medications for a specific dose are dispensed. Incapacity: The RxPense® delivers medications already opened and removed form the blister package, easy to access and consume. For those with other impediments, caregivers are notified. Reminders can be issued in the voice of a loved one or caregiver. Cost: While the RxPense® can not specifically reduce the cost of medications, it can enable physicians, pharmacists and caregivers to better monitor adherence and to investigate alternate solutions. Teleconferencing is fully supported. Communicating with a health care professional is the first step towards finding alternate and lower cost medications. Fear: The RxPense® can consolidate wearables and health sensor data with the patient portal. This feature allows the senior and surrounding circle of care to closely monitor the medication adherence and collected vitals. Mistrust: In certain jurisdictions, Big Pharma is not allowed to offer compensation to physicians to prescribe their branded medications. In public health or single payor systems, often group negotiations result in lower drug prices and the use of generic equivalents. When in doubt, ask your pharmacist. When in doubt, get a second opinion. Over time, this mistrust will diminish. Addiction: An unfortunate side effect of some drugs is the propensity for addition. The RxPense® is physically and virtually locked preventing users from gaining access to medications before their designated time. As only 1 dose is released, the possibility for over consumption or release is removed. It is hoped that remaining on schedule, at the prescribed dose and time, will minimize addiction. RxPense® combines the convenience of machine automation and the utility of senior-friendly software interfaces to create a unique experience to maximize medication compliance. RxPense® is a personal medication dispensing and remote monitoring solution that ensures seniors, chronic care patients and disabled veterans at home (or elsewhere), take the correct medications on time and notifies caregivers, or pharmacists, psychiatrists, clinicians and physicians, if they miss a dose. It also accurately records and documents the consumption of PRN “as-needed” and OTC medications. It can also capture (though external sensors), monitor and store vitals along with the electronic patient record. It gives users access to digital health care and tele-medicine.